The variable b is the y-intercept, this is where the line touches or intersects at the y-axis. A function is a type of equation. In a function there can ONLY be ONE output(y) for every input (x). THIS IS A FUNCTION! THIS IS NOT A FUNCTION! So it follows the rules. Find more information about functions here. Unit rates are about the amount for 1 unit. We use Ratio Tables to help solve for rates. 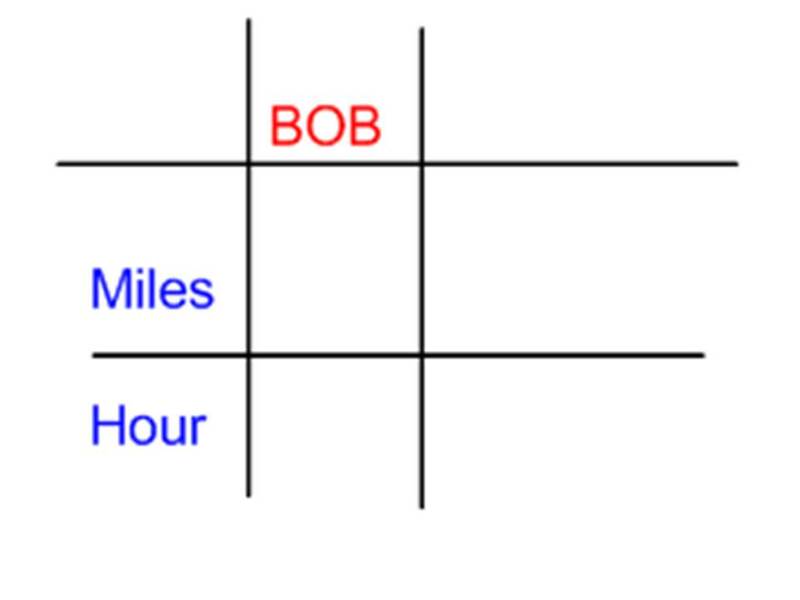 Our Ratio table looks like a tic-tac-toe table. Ex. Bob drives 100 miles in 5 hours. How many miles does he travel every hour? 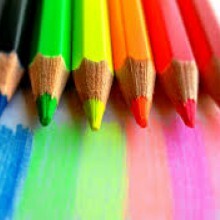 Now we fill in the information that is given. Bob drives 100 miles in 5 hours. How many miles does he travel every hour? Once we have entered what was given we need to see what the question is asking us. Ask yourself, is the problem asking how many hours it takes for 1 mile or how many miles for 1 hour??????? If you said how many miles for 1 hour, you are correct! So now we enter that into our Ratio Table. The x is the unknown. This is what we are solving for. 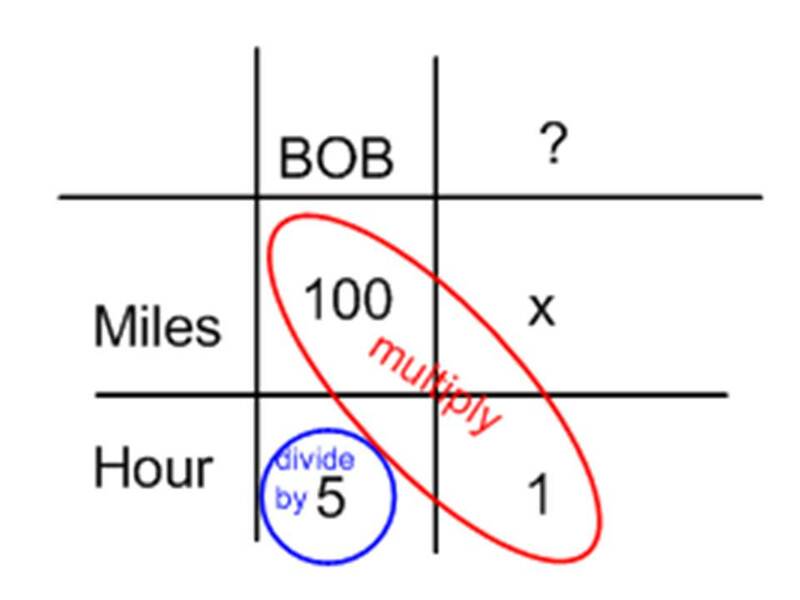 To solve for x, we multiply 100 and 1. Then divide by the number left over which is 5. We end up with x = 20. 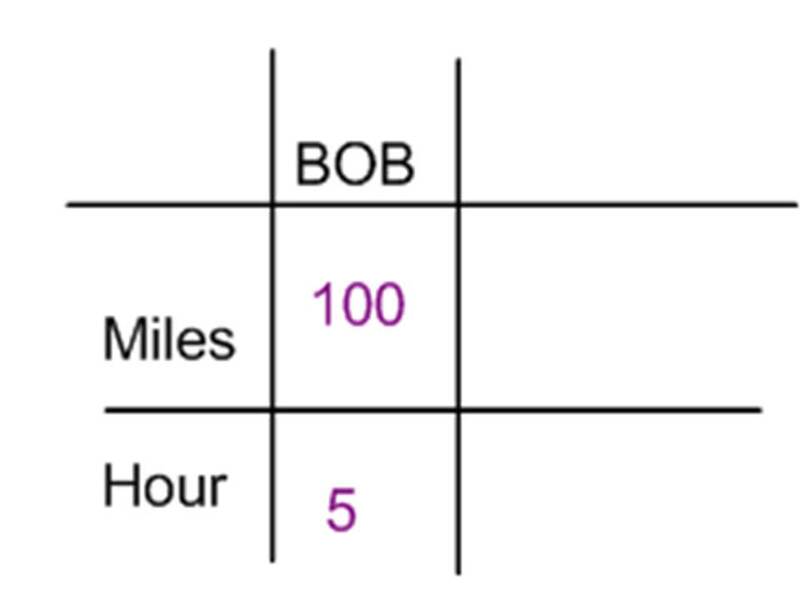 So Bob drives 20 miles per hour. Click here to watch a video with a different way to find unit rate. Test yourself on unit rates here! 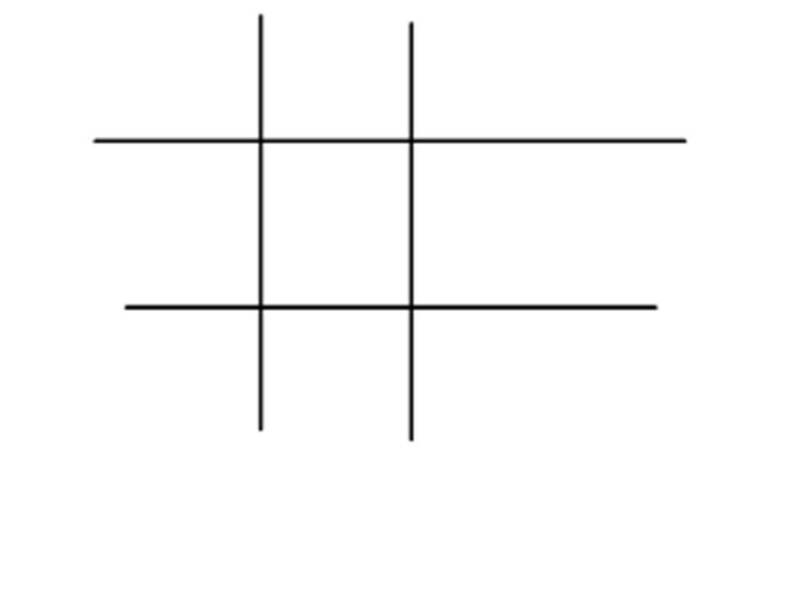 The variable m is the slope, it explains the steepness of a line of how slanted the line is. The variable b is the y-intercept, this is where the line crosses or intersects the y-axis. Slope is how steep a straight line is. When finding the slope from a line on a graph we use the method of rise over run . You can also think of it as the change in y over the change in x. The slope here is 4/6 which can simplify to 2/3. In this example the slope is 3/5. For more information on slope click here. Here is a video of slope as a rate of change. Y intercept is where a straight line crosses the Y axis of a graph. In the above diagram the line crosses the Y axis at 1. So the Y intercept is equal to 1. For more information on intercepts click here. 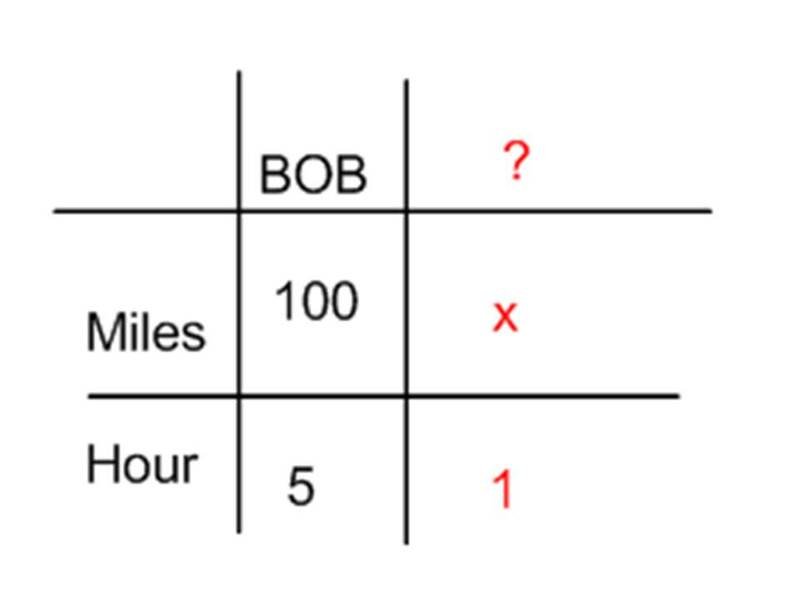 How do you find “m” and “b”? b is easy: just see where the line crosses the Y axis. m (the Slope) needs some calculation. Remember to write slope as a fraction. The fastest and easiest thing to find first when looking at a graph is the y-intercept (b). Here we see that the line crosses the y-axis at positive 1. So, b = 1 . In this example the rise is 2 and the run is 1. So, m = 2/1 . Now that I know m = 2/1 and b = 1 I can plug them into the equation for slope intercept form y = mx + b. ^^^^^ This is the equation of the line. For more information on y = mx + b click here. Get your Slope Intercept on!